I started dating Nancie right after our junior year in high school. She had a little picture of Jesus that she cherished. I would take her to Sunday School and church each Sunday. One day we went to our pastor’s house and he prayed with her to receive Christ. She got immersed on a Sunday night. It was Halloween! Although she had always loved the thought of Jesus, she still had to submit to God regarding Jesus. Many people love the thought of Jesus but never really submit to him. This Sunday I’m preaching on “Submit to God Regarding Jesus” from Luke 1:26-38 where the angel Gabriel appears to the Virgin Mary. She learns about Jesus who will be born through her, and she submits herself to God. Likewise Christ can be born in us and we can submit to the Father. When we do so, life becomes pregnant with meaning! Our dear friend Ron Rienks passed away December 9. 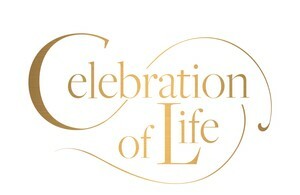 His Memorial Service will be in our worship center Saturday at 5:00 p.m. A reception will follow in the Fellowship Hall. Help us celebrate the eternal life of this incredible man. Don’t forget our workday Saturday at 9:00, our Business Meeting Sunday at 6:00 and our Christmas Eve Service the next Sunday at 5:00. There’s lots going on, but it’s all in honor of Christ who became flesh and dwelt among us. This Christmas may we learn the beauty of total commitment and total dependence on Jesus; a relationship which will make us kinder, gentler and more caring. Without these qualities we make a mockery of the tender birth of Jesus. A Celebration of Life Service for Ron Rienks will be held at El Camino Baptist Church on Saturday, December 16, 2017 at 5:00 pm. A reception will follow in the Fellowship Hall.